There may be times when you require a source of water outside your usual plumbing network. 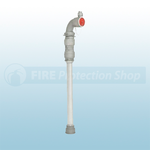 In situation like these a standpipe can be used to connect to a hydrant. 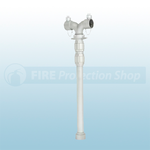 However a fire hydrant should only be used in the event of a fire. 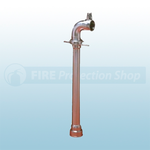 If you require a standpipe for everyday use such as drain cleaning, construction or landscape gardening you must only connect a standpipe to a wash out hydrant (WH) not a Fire Hydrant (FH). 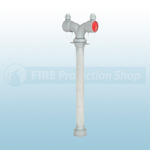 We supply standpipes either with single or double head outlets. Outlets are 2 1/2" female instantaneous with single twist release (BS 336). The double-head type is supplied with one blank plug as standard. 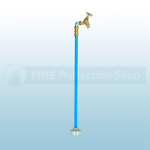 Contractors' standpipes are supplied with a brass double check valve as standard.